This mockup works perfectly in both isometric and top view perspectives, allowing you to showcase your packaging from multiple angles. Completely customizable, you’ll be able to alter everything including the shadows, reflections and backgrounds. Change colors, textures and add your logo with ease. 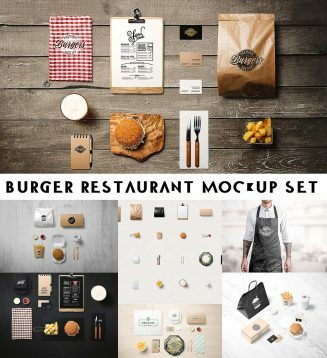 In this pack you’ll find:9 ready-made PSD scenes, 6 background textures, Isometric items, Illustrated user manual etc. 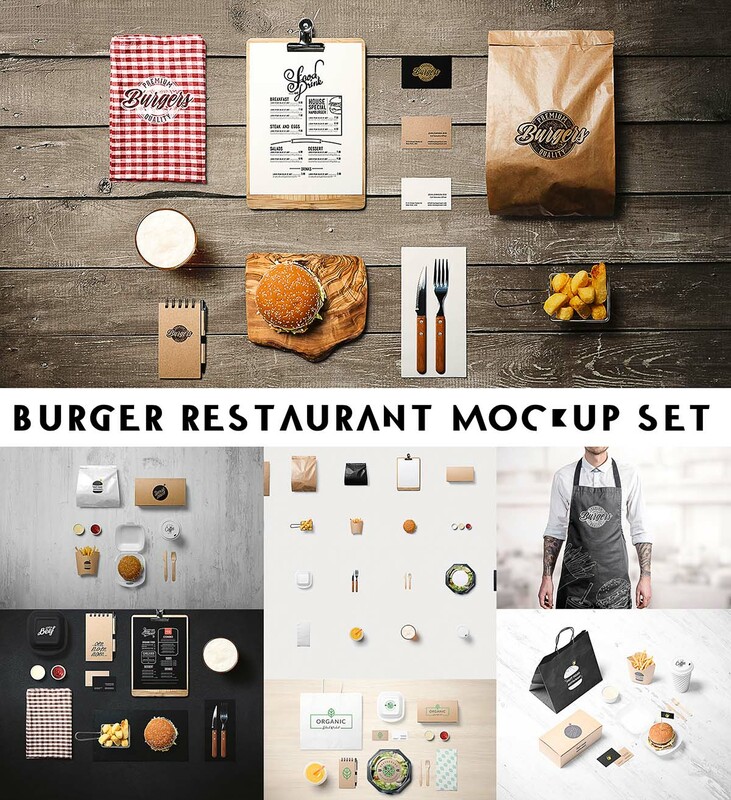 Tags: bistro, burger, cafe, creation kit, food, food menu, isometric, restaurant, stationery, store, texture.